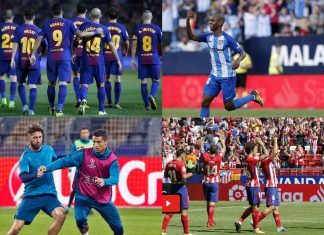 FC Barcelona opened up a four-point lead at the top of the Liga Santander while Atletico Madrid breezed past Sevilla and Real Madrid again wasted chances in Matchday 6 in the Liga Santander. 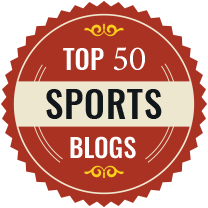 Here are some of the things we learned this weekend. 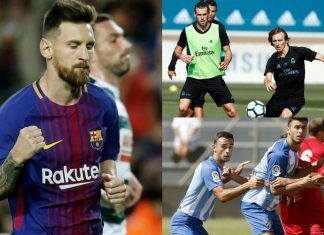 Matchday five in the Spanish Liga Santander produced a major surprise when Betis defeated Real Madrid in the Santiago Bernabeu Stadium to leave Madrid seven points behind Barcelona in the league table. 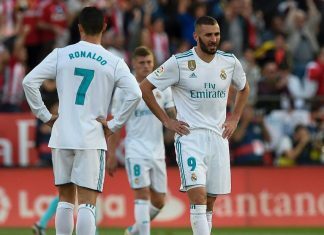 Real Madrid will hope for away-day comforts to blow away their Santiago Bernabeu blues when they travel to face struggling Alaves on Saturday afternoon. 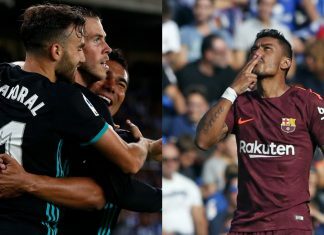 Real Madrid claimed a vital win on Sunday night as they defeated Real Sociedad 3-1 in the Anoeta Stadium. 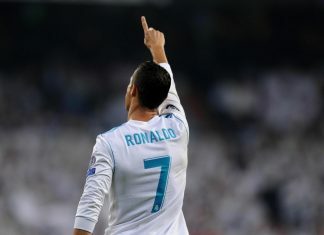 Cristiano Ronaldo returned with two goals to steer Real Madrid to a comfortable win over APOEL Nicosia in their opening Champions League game of the season. 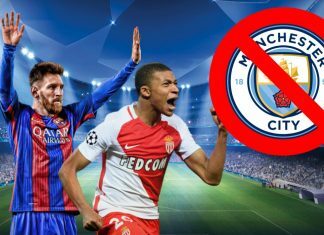 Messi And Mbappe Will Not Sign For Manchester City! 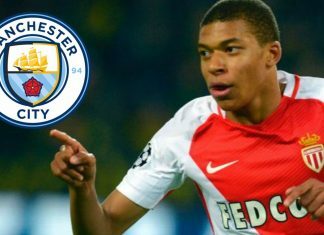 ﻿Manchester City have admitted defeat in the £138m chase of Kylian Mbappe. 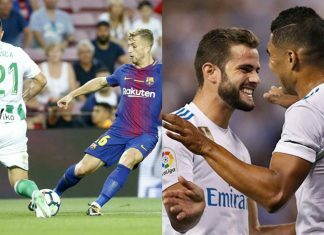 Real Madrid and FC Barcelona both won their opening games of the La Liga season on what was an especially emotional night in Barcelona's Camp Nou Stadium in the wake of Thursday's terrorist attacks which left 13 dead in the city and another victim in the nearby town of Cambrils. 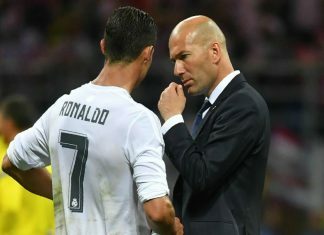 Real Madrid coach Zinedine Zidane has criticized the decision by the Spanish Football Federation to ban Cristiano Ronaldo for five matches following his sending off in the first leg of the Spanish Supercup. 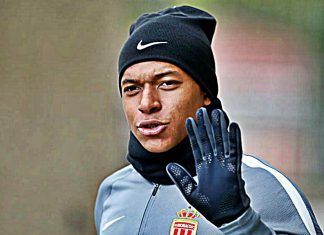 Manchester City appear to have entered the race for Kylian Mbappe after it emerged the star enjoyed dinner with Pep Guardiola last month. Kylian Mbappe has demanded the same wages as Gareth Bale if he is to move to Real Madrid, according to reports. 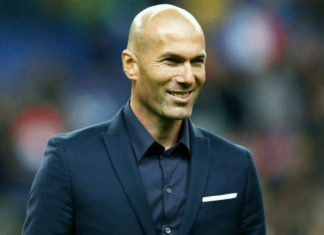 Real Madrid boss Zinedine Zidane was able to celebrate after the 33rd league title in their history, but the first since 2012. 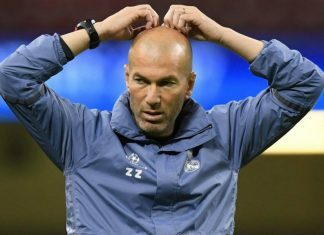 Real Madrid need just a draw from their last game of the season in order to be crowned as Champions of the Liga Santander following their 4-1 win away to Celta Vigo on Wednesday night. 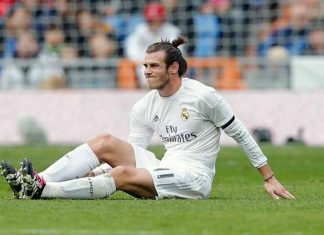 Bale suffered a calf problem after lasting only 35 minutes of Real’s El Clasico loss against Barcelona on April 23. 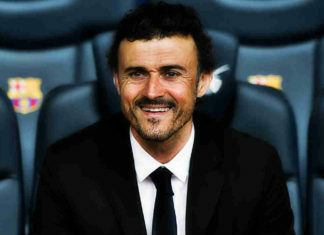 Luis Enrique insists Barcelona can still beat Real Madrid to La Liga glory, despite Zidane's side taking a huge step towards the title. 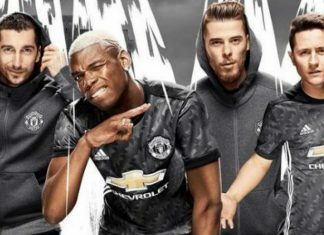 The images revealing their kit also includes David de Gea, who has been linked with a move to Real Madrid in the summer. 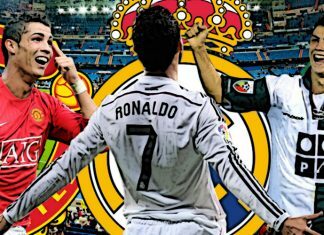 Champions League Semi-final second leg clash between Rivals Atletico Madrid and Real Madrid on Thursday. 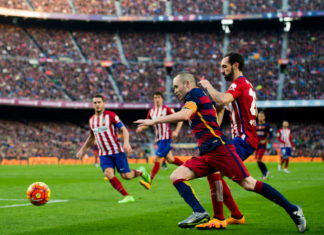 Catch all the update on FootTheBall. 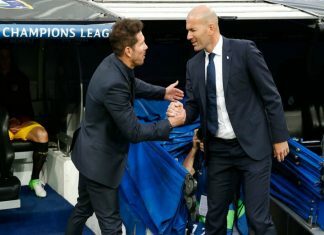 Real Madrid coach Zinedine Zidane insisted that his side's 3-0 win over Atletico Madrid in the first leg of their Champions League semi-final would not alter their approach to the return leg in the Vicente Calderon on Wednesday. 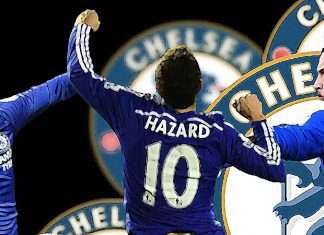 Real Madrid forward Alvaro Morata is not a target for AC Milan, according to director of sport Massimiliano Mirabelli. 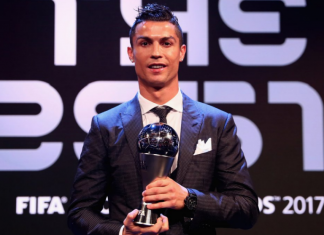 Real Madrid star Cristiano Ronaldo showcased his funny side as he claimed that "I am from this planet" after reaching another milestone. 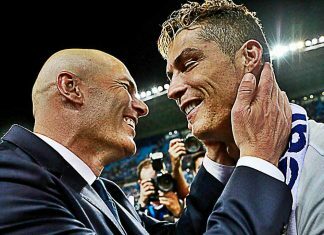 Real Madrid are prepared to sell one of Cristiano Ronaldo, Gareth Bale or Karim Benzema this summer to build a fresh forward line. 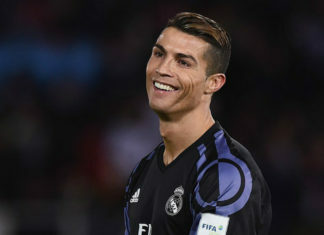 Cristiano Ronaldo said he never expected to score as many Real Madrid goals after reaching 400 goal mark for the Los Blancos. 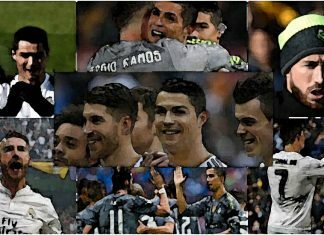 Real Madrid needed a late goal from left back Marcelo to defeat Valencia 2-1 at the Santiago Bernabeu to keep title dreams alive. 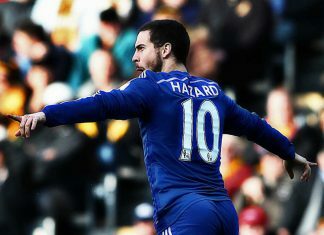 Eden Hazard has revealed the secret of his success … admitting he treats the ball like his best mate or his lover. 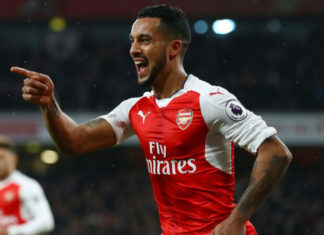 Theo Walcott scored in the first half of Tuesday's Champions League match against Bayern Munich – his 15th career strike in the competition. 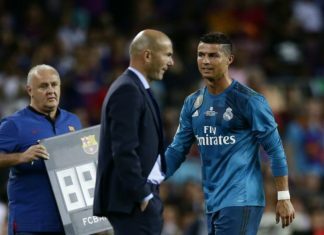 Cristiano Ronaldo finally found some support at the Santiago Bernabeu, after his team-mates accused him of being selfish. 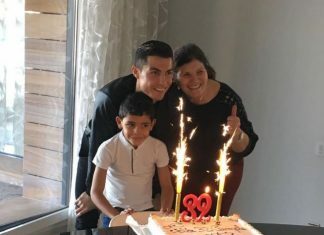 Cristiano Ronaldo celebrated his 32nd birthday on Sunday with his family as the Real Madrid star enjoys a weekend off from football. 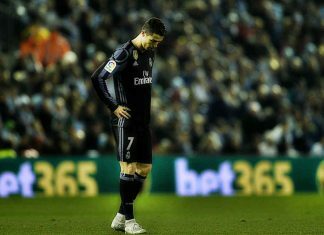 Real Madrid crashed out of the Copa del Rey as Danilo put through his own goal for the second time this month despite Ronaldo's best efforts. 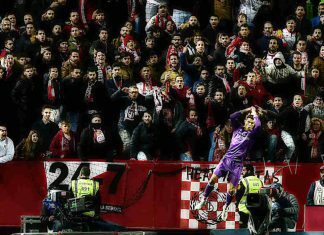 Real Madrid's defeat to Sevilla did produce one positive statistic, with Ronaldo equaling Hugo Sanchez's record from the spot. 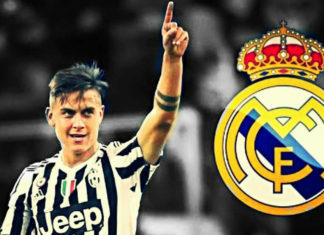 Juventus star Paulo Dybala has claimed that he is happy in Turin and is not looking forward to offers from Barcelona and Real Madrid. 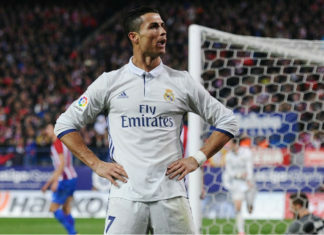 Karim Benzema and Cristiano Ronaldo scored as Real Madrid overcame Club America to reach the 2016 FIFA Club World Cup final. 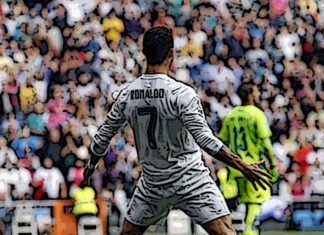 Real Madrid face a potentially significant Champions League tie when they play Borussia Dortmund in the Santiago Bernabeu Stadium. 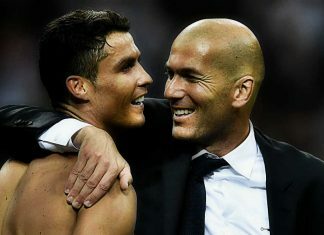 Xabi Alonso insisted that Cristiano Ronaldo would be welcome at Allianz Arena and heaped praise on his former teammate’s goalscoring prowess. 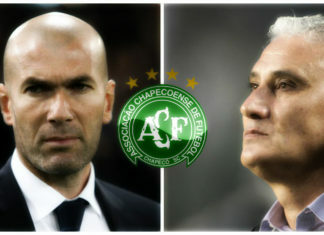 Zinadine Zidane and Tite paid condolences to the families and friends of the victims of the tragic Chapecoense aircraft crash. Gareth Bale on Monday held a press conference to explain his decision to extend his contract with Real Madrid until the end of June 2022. 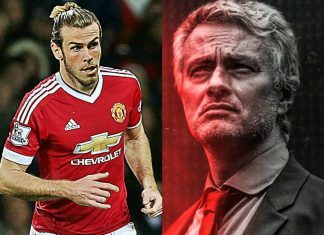 Real Madrid's Welsh ace, Gareth Bale has signed a new contact with the club which will extend his services until 2022. 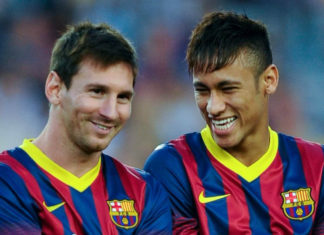 Neymar JR's father has revealed that his son is at Barcelona only because he enjoys his partnership with Messi. 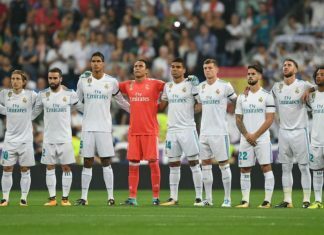 Real Madrid should make an important step towards the knockout phase of the Champions League when they play host to Legia Warsaw on Tuesday. 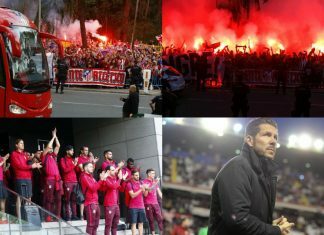 Real Madrid will look to fire against Villarreal at home, while second on table Barcelona play at home to Atletico Madrid. 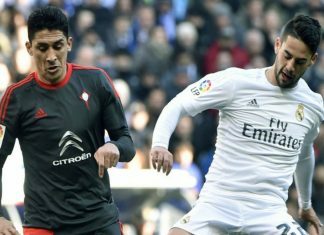 Pepe said on Tuesday that if he doesn't extend his current contract with the club he will consider retiring from football. 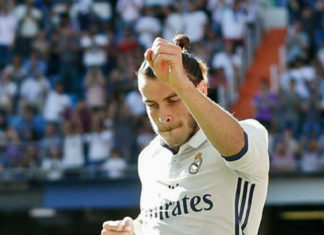 Real Madrid striker Gareth Bale insisted on Wednesday that his side's ambition for the season is to win every possible title.